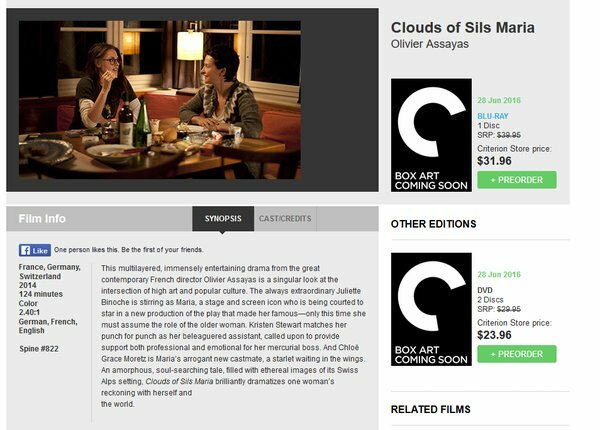 The 'Clouds of Sils Maria' Criterion DVD/Blu-ray will be out on June 28! 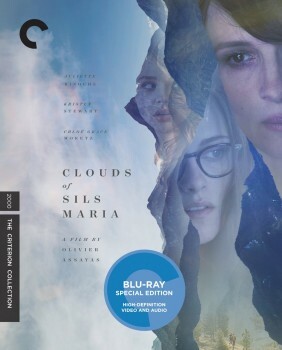 Criterioncollection: "In the clouds with Kristen Stewart." Wikipedia: "The Criterion Collection (or simply Criterion) is an American video-distribution company which specializes in licensing "important classic and contemporary films" and selling them to film aficionados. Criterion is noted for helping to standardize the letterbox format for widescreen films, bonus features, and special editions for home video." Can not wait to see this special edition & to know if there will be more footage!